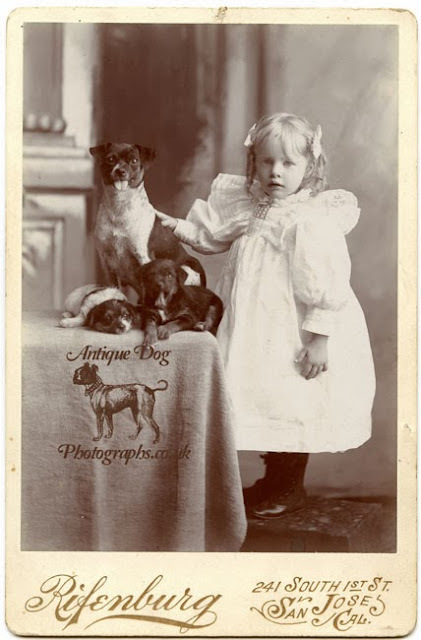 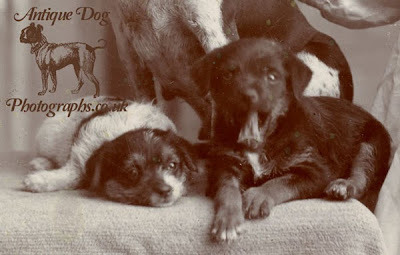 The Antique Dog Photograph Gallery: Aren't you just the Cutest Thing..
Aren't you just the Cutest Thing.. The title of most adorable photograph in my collection must surely go to this image of a little blonde girl with her dog and two puppies. Perhaps one of the more unusual elements of this photograph is the range of expressions that have been captured in the exposure. 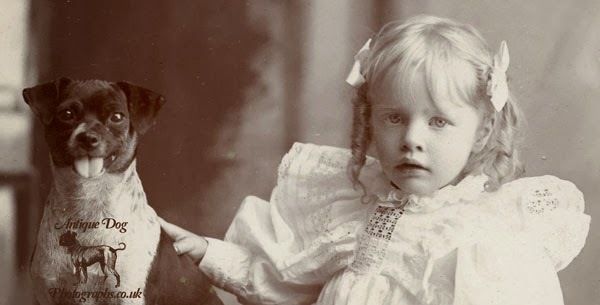 Alonzo Gardner Rifenburg in (California State Library, California History Section;) Great Registers, 1866-1898; Collection Number: 4 - 2A; CSL Roll Number: 126; FHL Roll Number: 977290.